02/11/06 "ICH" -- -- Hugo Chavez’s meteoric rise on the world stage has as much to do with his defiance of Washington as it does with his leadership of a hemispheric revolution. At great personal risk, Chavez has consistently lashed out against his witless-nemesis, George Bush, and the coterie of sycophants who do his bidding. “Go straight to hell, Mr. Blair,” Chavez roared. 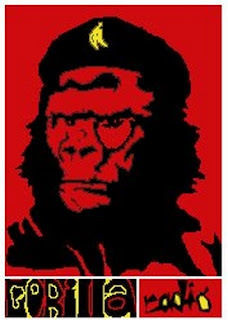 Chavez is the polar opposite of his arch-rival, George Bush. Raised in a dirt-floor shack, Chavez worked his way up through the ranks of the elite paratrooper-corps dreaming of becoming of becoming a baseball player and moving to the United States. Bush, on the other hand, is a patrician slacker, who drank his way through high school and college, went “missing” during his tour with the Champagne Unit of the Texas National Guard, and ran three companies (Spectrum, Arbusto, and Harken) into the ground. He finally, found his niche in politics when he realized he could translate his family name and connections into political capital. Since then, he has faithfully served the corporate interests that catapulted him to the presidency; providing lavish subsidies to industry giants, tax cuts to the wealthy, and deregulation to nearly every area of commerce. The divisions between Chavez and Bush are more than just personal. Chavez imagines a world where government is deeply involved in the health and welfare of its citizens and where certain guarantees of security are provided under the rule of law. He has worked tirelessly to actualize a modern Bolivarian Revolution, loosening the centuries-long grip of colonial rule and binding the continent together in a shared vision of peace and cooperation. Chavez has provided clinics and schools in every barrio in Caracas; ensuring that even the neediest citizens will enjoy federally funded health care, literacy programs, and a minimal standard of living. His vision of social justice is sharply contrasted to that of Bush who has consistently hacked away at education, public television, Medicaid, student loans, and the crumbling social safety-net that provides vital resources for the destitute. In Bush-world, the solitary function of government is to enhance the wealth of America’s “privileged few”. While Chavez is working to create a nationally-owned web of oil and gas pipelines that will knit the continent together, Bush is pursuing a global resource war that has destroyed much of Iraq and killed tens of thousands of innocent people. The Chavez approach requires partnership and cooperation, whereas the Bush strategy is merely a continuation of smash-and-grab imperialism. Chavez is correct to dismiss Bush’s wars as an expression of “savage capitalism”, the likes of which Latin Americans have endured for more than a century. Starting in the “lost decade” of the 1980s, the policies which sprouted from the “Washington consensus” have increased poverty and despair throughout the continent on an incalculable scale. The IMF and World Bank forced austerity measures, deregulation, privatization of public services and resources, as well as painful cuts to social programs and education. The “free market” policies have curbed hyperinflation, but left 128 million Latin Americans living on less that $2 a day. Chavez’s political fortunes are due in large part to the widespread rejection of the exploitative neoliberal policies and market-oriented reforms that have failed to reduce poverty. His ascendancy has breathed life into a vision of socialism that is essentially non-ideological, but deals with the immediate needs of the people and the obligation of government to meet those needs. Chavez’s new-found wealth and celebrity presents a serious challenge to Washington. The Pentagon issued a report 2 years ago that warned of the dangers of “radical populism” spreading through Latin America. The Bush administration is concerned that real democracy will take root in the region and undermine the dominant role of US industry. Chavez star seems to be rising just as Bush’s is beginning to fizzle. While Bush is mired in scandal and war, Chavez is grabbing headlines by promising to give away $4 billion in aid to his neighbors, provide assistance to victims of Hurricane Katrina, and donate cheap heating fuel to the needy in Massachusetts. His generosity has enhanced his stature as a world leader while America’s moral authority vanished sometime between the carpet-bombing of Falluja and the sadistic treatment of prisoners at Abu Ghraib. Chavez’s popularity has only grown with every scathing brickbat he hurls at the Bush claque. The public obviously enjoys seeing David tweak Goliath’s nose while the giant stumbles blindly from one bloody conflict to the next. “We are happy that the maximum representatives of the assassin and genocide Empire attack us and call us what they like,” Chavez boomed. “If the dogs are barking, Sancho, it’s because we are riding”. That’s a stretch even by Rumsfeld’s standards. In recent months, Chavez has been aggressively trying to buy weapons from Russia anticipating another American coup or (possible) invasion. (He said that he has proof of a US plan code-named Balboa that was worked out under the Bush administration) He has vowed to cut off the flow of oil to the US if the Bush administration makes another attempt on his life and promised a century-long war if the US invades. Never the less, the prospect of hostilities hasn’t intimidated the effusive Chavez or caused him to tone down his rhetoric. “The imperialist, mass-murdering, fascist attitude of the president of the United States doesn’t have limits”, Chavez said. “I think Hitler could be a nursery-baby next to George W. Bush”. Chavez is persisting with his ambitious plans for agrarian reform, public housing, free health care, and redistribution of wealth. He is reshaping Venezuelan politics and influencing the way we think about governments’ obligations to its citizens. 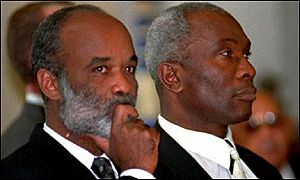 Judging from released election poll results, Rene Preval is the new president of Haiti. But, winning an election is no guarantee of assuming, or maintaining office, as recent history in Haiti and other "democratic" countries demonstrates. Former president, and protege of ousted president Jean-Bertrand Aristide, now living in exile in South Africa, Rene Preval had, at last count, achieved the better than 50% of the popular vote required to avoid a run-off vote and assume the presidential office, but further results have slowed to a crawl prompting calls of gerrymandering from Preval supporters. As Reuters reports, hundreds of Preval supporters have marched in the capital, Port-au-Prince suspicious of the more than four day delay in tabulating the results. Earlier today, demonstrators surrounded the National Palace, reportedly tearing down opposition candidate's posters. Rene Preval's campaign office too is tired of the wait, and has demanded documentation of the election council's claim of more than 100,000 "spoiled" ballots. The Preval camp has seen its official support numbers steadily sink from an initial exit poll estimate of more than 61%, to 51%, and expected to fall further as more votes are rendered "spoiled" by the election council. Calls for an investigation of the process have also come from within the election council, with at least one councillor calling the process 'suspect." Patrick Fequiere says; "It should be investigated. It is suspect." Millionaire garments industrialist and Preval opponent, Charles Baker is also making claims of voter fraud, demanding an investigation into the legitimacy of the election that saw him gain a paltry 8% of the popular vote. Washington meanwhile has remained circumspect on the subject of who may be the next president; surprising considering the Bush administration's documented role in the overthrow of the former, democratically elected leader of the country and its support of the "interim" government authority. Claude Parent, speaking for a mission representing eight countries in the Americas including Canada and the United States, says; "We think this election should be something that the international community should accept and we think the Haitian people should accept it." Whether or not that happens has more to do with the "people" in Washington, Paris and Ottawa than the residents of Cite Soleil, or Bel Air. Chris Cook is a contributing editor to PEJ News and host of Gorilla Radio, a weekly public affairs program, broad/webcast from the University of Victoria, Canada. You can check out the GR Blog here. Bush and Blair are gearing up for it, and they are preparing us, too - just as they did before attacking Iraq. But where is the threat? 02/09/06 "ICH" -- -- Has Tony Blair, our minuscule Caesar, finally crossed his Rubicon? Having subverted the laws of the civilised world and brought carnage to a defenceless people and bloodshed to his own, having lied and lied and used the death of a hundredth British soldier in Iraq to indulge his profane self-pity, is he about to collude in one more crime before he goes? Perhaps he is seriously unstable now, as some have suggested. Power does bring a certain madness to its prodigious abusers, especially those of shallow disposition. In The March of Folly: from Troy to Vietnam, the great American historian Barbara Tuchman described Lyndon B Johnson, the president whose insane policies took him across his Rubicon in Vietnam. "He lacked [John] Kennedy's ambivalence, born of a certain historical sense and at least some capacity for reflective thinking," she wrote. "Forceful and domineering, a man infatuated with himself, Johnson was affected in his conduct of Vietnam policy by three elements in his character: an ego that was insatiable and never secure; a bottomless capacity to use and impose the powers of his office without inhibition; a profound aversion, once fixed upon a course of action, to any contradictions." That, demonstrably, is Bush, Cheney, Rumsfeld and the rest of the cabal that has seized power in Washington. But there is a logic to their idiocy - the goal of dominance. It also describes Blair, for whom the only logic is vainglorious. And now he is threatening to take Britain into the nightmare on offer in Iran. His Washington mentors are unlikely to ask for British troops, not yet. At first, they will prefer to bomb from a safe height, as Bill Clinton did in his destruction of Yugoslavia. They are aware that, like the Serbs, the Iranians are a serious people with a history of defending themselves and who are not stricken by the effects of a long siege, as the Iraqis were in 2003. When the Iranian defence minister promises "a crushing response", you sense he means it. Listen to Blair in the House of Commons: "It's important we send a signal of strength" against a regime that has "forsaken diplomacy" and is "exporting terrorism" and "flouting its international obligations". Coming from one who has exported terrorism to Iran's neighbour, scandalously reneged on Britain's most sacred international obligations and forsaken diplomacy for brute force, these are Alice-through-the-looking-glass words. However, they begin to make sense when you read Blair's Commons speeches on Iraq of 25 February and 18 March 2003. In both crucial debates - the latter leading to the disastrous vote on the invasion - he used the same or similar expressions to lie that he remained committed to a peaceful resolution. "Even now, today, we are offering Saddam the prospect of voluntary disarmament . . ." he said. From the revelations in Philippe Sands's book Lawless World, the scale of his deception is clear. On 31 January 2003, Bush and Blair confirmed their earlier secret decision to attack Iraq. Like the invasion of Iraq, an attack on Iran has a secret agenda that has nothing to do with the Tehran regime's imaginary weapons of mass destruction. That Washington has managed to coerce enough members of the International Atomic Energy Agency into participating in a diplomatic charade is no more than reminiscent of the way it intimidated and bribed the "international community" into attacking Iraq in 1991. Iran offers no "nuclear threat". There is not the slightest evidence that it has the centrifuges necessary to enrich uranium to weapons-grade material. The head of the IAEA, Mohamed ElBaradei, has repeatedly said his inspectors have found nothing to support American and Israeli claims. Iran has done nothing illegal; it has demonstrated no territorial ambitions nor has it engaged in the occupation of a foreign country - unlike the United States, Britain and Israel. It has complied with its obligations under the Non-Proliferation Treaty to allow inspectors to "go anywhere and see anything" - unlike the US and Israel. The latter has refused to recognise the NPT, and has between 200 and 500 thermonuclear weapons targeted at Iran and other Middle Eastern states. Those who flout the rules of the NPT are America's and Britain's anointed friends. Both India and Pakistan have developed their nuclear weapons secretly and in defiance of the treaty. The Pakistani military dictatorship has openly exported its nuclear technology. In Iran's case, the excuse that the Bush regime has seized upon is the suspension of purely voluntary "confidence-building" measures that Iran agreed with Britain, France and Germany in order to placate the US and show that it was "above suspicion". Seals were placed on nuclear equipment following a concession given, some say foolishly, by Iranian negotiators and which had nothing to do with Iran's obligations under the NPT. Iran has since claimed back its "inalienable right" under the terms of the NPT to enrich uranium for peaceful purposes. There is no doubt this decision reflects the ferment of political life in Tehran and the tension between radical and conciliatory forces, of which the bellicose new president, Mahmoud Ahmadinejad, is but one voice. As European governments seemed to grasp for a while, this demands true diplomacy, especially given the history. For more than half a century, Britain and the US have menaced Iran. In 1953, the CIA and MI6 overthrew the democratic government of Muhammed Mossadeq, an inspired nationalist who believed that Iranian oil belonged to Iran. They installed the venal shah and, through a monstrous creation called Savak, built one of the most vicious police states of the modern era. The Islamic revolution in 1979 was inevitable and very nasty, yet it was not monolithic and, through popular pressure and movement from within the elite, Iran has begun to open to the outside world - in spite of having sustained an invasion by Saddam Hussein, who was encouraged and backed by the US and Britain. At the same time, Iran has lived with the real threat of an Israeli attack, possibly with nuclear weapons, about which the "international community" has remained silent. Recently, one of Israel's leading military historians, Martin van Creveld, wrote: "Obviously, we don't want Iran to have nuclear weapons and I don't know if they're developing them, but if they're not developing them, they're crazy." It is hardly surprising that the Tehran regime has drawn the "lesson" of how North Korea, which has nuclear weapons, has successfully seen off the American predator without firing a shot. During the cold war, British "nuclear deterrent" strategists argued the same justification for arming the nation with nuclear weapons; the Russians were coming, they said. As we are aware from declassified files, this was fiction, unlike the prospect of an American attack on Iran, which is very real and probably imminent. Blair knows this. He also knows the real reasons for an attack and the part Britain is likely to play. Next month, Iran is scheduled to shift its petrodollars into a euro-based bourse. The effect on the value of the dollar will be significant, if not, in the long term, disastrous. At present the dollar is, on paper, a worthless currency bearing the burden of a national debt exceeding $8trn and a trade deficit of more than $600bn. The cost of the Iraq adventure alone, according to the Nobel Prizewinning economist Joseph Stiglitz, could be $2trn. America's military empire, with its wars and 700-plus bases and limitless intrigues, is funded by creditors in Asia, principally China. That oil is traded in dollars is critical in maintaining the dollar as the world's reserve currency. What the Bush regime fears is not Iran's nuclear ambitions but the effect of the world's fourth-biggest oil producer and trader breaking the dollar monopoly. Will the world's central banks then begin to shift their reserve holdings and, in effect, dump the dollar? Saddam Hussein was threatening to do the same when he was attacked. While the Pentagon has no plans to occupy all of Iran, it has in its sights a strip of land that runs along the border with Iraq. This is Khuzestan, home to 90 per cent of Iran's oil. "The first step taken by an invading force," reported Beirut's Daily Star, "would be to occupy Iran's oil-rich Khuzestan Province, securing the sensitive Straits of Hormuz and cutting off the Iranian military's oil supply." On 28 January the Iranian government said that it had evidence of British undercover attacks in Khuzestan, including bombings, over the past year. Will the newly emboldened Labour MPs pursue this? Will they ask what the British army based in nearby Basra - notably the SAS - will do if or when Bush begins bombing Iran? With control of the oil of Khuzestan and Iraq and, by proxy, Saudi Arabia, the US will have what Richard Nixon called "the greatest prize of all". But what of Iran's promise of "a crushing response"? Last year, the Pentagon delivered 500 "bunker-busting" bombs to Israel. Will the Israelis use them against a desperate Iran? Bush's 2002 Nuclear Posture Review cites "pre-emptive" attack with so-called low-yield nuclear weapons as an option. Will the militarists in Washington use them, if only to demonstrate to the rest of us that, regardless of their problems with Iraq, they are able to "fight and win multiple, simultaneous major-theatre wars", as they have boasted? That a British prime minister should collude with even a modicum of this insanity is cause for urgent action on this side of the Atlantic. Haitian Election: Hamas Redux for Bush? PEJ News - C . L. Cook - There has been death on both sides of the Haitian political divide, (the most gruesome the mobbing of a policeman who shot dead a queued voter), but early accounts report a mainly peaceful poll, if complicated by gross partisan gerrymandering by the ruling Pretenders in Port au Prince. Early returns look like the ascension of populist Jean Bertrand Aristide pal, Rene Preval to the nation's presidential office; but, the next hours will tell which course Haitian democracy takes. Over-shadowed by most accounts of Haitians returning to the poll following a two year period of political chaos is the fact: Haiti had a perfectly functioning electoral process two years ago. Their president enjoyed greater public support, in terms of total percentage, than any democratically elected counterpart in the world. The problem? Jean Bertrand Aristide wasn't the "right man" to do the bidding of Haiti's wafer thin elite, and their international friends in business. On the night of February 29, 2004, the president was "rescued" by elite U.S. military and "security" personnel, whisked for his own safety across the Atlantic, to then find himself held incommunicado at a villa in the Central African Republic (CAR). In a plot later found to be hatched by a tripartite collusion between elements within the U.S., French, and Canadian governments, a group of terrorists and murderous thugs, well employed during Haiti's dark pre-Democracy period, were again placed in power, supported by "police" from the conspirator nations, aided by an United Nations imprimatur, augmented by troops from Jordan and neighbouring Brazil. The results have been political arrests, the curtailment and harrassment of the press, terrorizing of perceived supporters of the ousted Aristide, and an increasingly bitter and militant population. And of course, lots of death. After repeated postponements of this election, and the Florida-like disenfranchisement tricks, it's almost inconceivable that the same men representing the interests that went to the trouble of ridding the country of Aristide, a man professing the greater good of the poor majorities, introducing education, health care, and moving toward liveable wages and the end of the slavish conditions of Haiti's labour force, only to see him replaced two years later by a politcal protege. The United Nations is reported to have grabbed election results from remote villages, and will deliver them to the capital for tabulation. As of late Wednesday pst, no results are official, suggesting either the total vote tally hasn't reached the mandated 20% needed before announcements can be made, or the regime is stalling the count while conferring with its foreign patrons. The next few hours are literally a matter of what kind of life, or death Haiti's democracy will embrace. 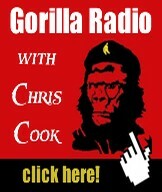 Chris Cook is a contributing editor to PEJ News, and hosts Gorilla Radio, a weekly public affairs program, broad/webcast from the University of Victoria, Canada. PEJ News - C. L. Cook - The "muscular" new Canadian approach to fulfilling the foreign policy objectives of the Bush administration today again bore bitter fruit for Canadian soldiers serving in Afghanistan. Dismissing the damage to troops and their Light Armoured Vehicle (LAV) as "minor," the national broadcaster missed entirely the damage being done to Canada's international image. Four Canadian soldiers were hurt when their convoy, on what was described as a joint U.S.- Canadian reconnaissance mission, was struck by an Improvised Explosive Device (IED) planted along their route. The Canadian contingent, dubbed 'Task Force Orion,' are recently arrived in the Taliban heartland city of Kandahar, and are expected, according to the Canadian general slated to take command of the greater, 'Task Force Afghanistan,' Brigadier-General David Fraser, to both "kill and die" there. Indeed, just last month, Glyn Barry, Canada's head diplomat to the country was killed, and three Canadian soldiers wounded when their convoy was hit by a suicide car bomber. Attacks have been on the increase for at least a year in Afghanistan; attacks increasingly emulating the tactics seen in Iraq. The Brigadier-General minces no words about Canada's involvement and his upcoming role as the Number One of the Multinational Brigade in Regional Command South, adjunct of the greater, American-led 'Operation Enduring Freedom,' saying; "This is a dangerous mission. This is a dangerous environment, and I cannot reduce the risk to zero." Neither Canada's number one commercial broadcaster, nor Brig.-Gen. Fraser seem overly concerned with the greater danger the country's military adventurism poses for Canadian citizens, at home and abroad, or Canada's squandered reputation as mediator and peacekeeper on the world stage. Instead, as Stephen Thorpe of Canadian Press reports, the increase IED and suicide attacks have led to "more liberal rules of engagement" for NATO troops, allowing they "fire on suspect vehicles and other attackers in Afghanistan." It can only be hoped, NATO will take more care than their American counterparts in Iraq, where un-tolled numbers of civilians have been killed at checkpoints, and just last week, a car carrying Canadian diplomats was shot at. There will doubtless be more stories to come of Canadians wounded to a less "minor" degree as the campaign in Afghanistan continues, but few published by Canada's over-concentrated media are likely to explore their own role in down-playing the nature of the conflict before the fact, the sea-change in Canadian foreign policy it represents, or the new understanding of Canada's role in further military deployments to Afghanistan, and those other "hot spots" around the edges of America's burgeoning empire. Chris Cook is a contributing editor to PEJ News and hosts Gorilla Radio, a weekly public affairs program, broad/webcast from the University of Victoria, Canada. You can check out the GR Blog here.